If your kitten becomes lethargic with no interest in food or play you must not hesitate to take him/her to the vets. A kittens lungs are delicate and you should avoid smoking near him/her, just as with a baby (a kittens lungs are even smaller!). There have been cases of cats with lung cancer as a result of passive smoking – even young cats. Never give chocolate to a cat/kitten – as little as a 16oz chocolate bar can kill an adult cat, and even less can kill a kitten the darker and more bitter the chocolate the more dangerous. Milk, cream and cheese can also create problems for cats/kittens because they cannot digest dairy products properly – the best the advice is to avoid giving these to your cat/kitten. Your cat may be your little ‘baby’ but a regular diet of baby food does not meet a cats needs. Some baby foods also contain onion powder, which has been shown to cause anaemia in cats. Feeding you cat raw fish in large quantities can cause vitamin deficiencies, regardless of the type of fish. Cooked fish should only be given in moderation because they frequently contain toxins from polluted waters. Although you see plenty of cartoons where the cat is eyeing the goldfish eating a goldfish is no joke to a cat as they contain an enzyme, which destroys vitamin b1, which is essential to a cats health. Avoid giving your cat any fish, turkey or chicken bones as they may cause your cat to choke. These can contain deadly salmonella so should never be given to your cat. These and other foods containing caffeine can be harmful. Vegetables as part of a regular diet are healthy for your cat but it dangerous to feed a vegetarian diet – cats need meat and some fish regularly to get the proper balance of nutrients. Your cat should not eat them for the same reasons that people shouldn’t – obesity, tooth decay and digestive problems. Dog food is for dogs! A diet of dog food can result in blindness in cats and the possibility of heart failure. This is because dog food doesn’t contain enough of an amino acid called taurine, which is essential to the health of all cats. Avoid using slug pellets in your garden as if your cat eats a bird which has eaten a slug which has eaten a pellet they poison will be passed onto your cat. Poinsettias are extremely poisonous to cats if they nibble at the leaves. There is no antidote to the toxin and there have been some cat deaths reported from poinsettia poisoning. Lily pollen is also extremely poisonous to cats – if you must have lilies remove the stamens. Pot pourri is also dangerous to cats. These should always be kept closed as cats and kittens are very curious and can get stuck and drown. for the same reason you should never leave a bath full of water unattended. It is best to keep bathroom doors closed if possible. Cats and kittens like to creep into dark spaces so you should always keep the doors of these appliances closed – you are also advised to check that your pet is around before starting your washing machine or drier as they may go in amongst your washing. These should always have a guard in front of them, including electric fires with radiant elements. Keep closed or only very slightly open to prevent your new cat or kitten getting out. High windows should never be left open if your cat is unsupervised as not all cats/kittens will survive a fall! 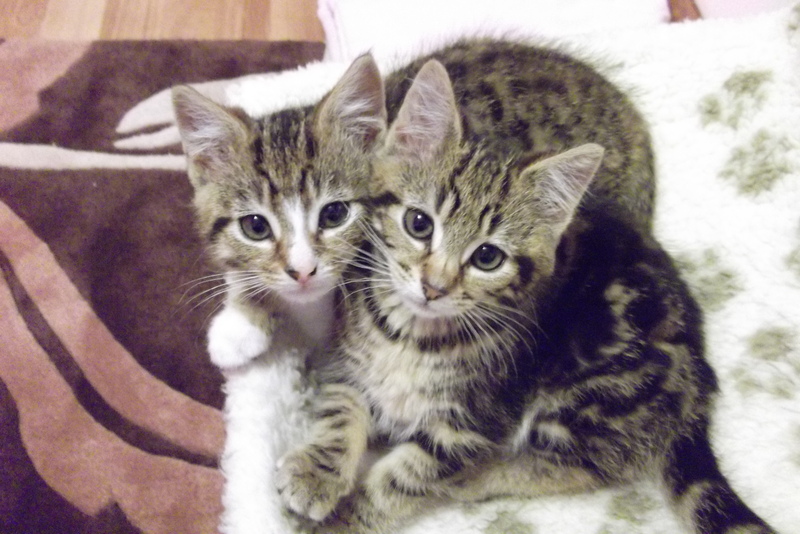 Keep covered if possible – it is essential that kittens are discouraged from playing with all electric cables. Cats and kittens will play with and chase anything that moves so be careful when ironing as the flex moving about might just be irresistible. Never, never leave an iron unattended with the flex dangling or plugged in. These can be fatal if eaten by a cat as they can tangle up in the intestines. If you think your cat has eaten an elastic band you must consult your vet ASAP. We hope that you and your chosen kitten or cat will have a lovely long life together. if you encounter any problems with your pet, sue will be happy to offer advice and help where she can. in the sad event of anything untoward happening to the cat or kitten please notify Sue or Linda.